Every Jew needs at least two houses of worship. And he must enter both of them. One is his synagogue, and the other is his home. Jewish worship takes place in the home to an even greater extent than in the synagogue. It is in the home that we recite grace after meals, prayers upon awakening and before bedtime, special prayers before Shabbat candle lighting, and countless informal prayers and benedictions. The synagogue, on the other hand, is the place for formal prayer and for communal worship. In this week’s Torah portion, Parshat Terumah, we learn of the very first house of worship: The Mishkan, or Tabernacle. We also learn about some of the furnishings which were essential to the construction of this house. These furnishings are not merely of historical import but are necessary in both the public synagogue and the private home. The first three components mentioned in this week’s Torah portion are the Ark, in which the tablets with the Ten Commandments, and according to some the entire Torah, are contained; the holy Table upon which twelve breads were placed every Sabbath; and the golden Menorah, exquisitely decorated. These three vessels are also prominent features of both synagogue and home and indeed should be so. Like the Tabernacle of old, every synagogue today has an ark in which the Torah scrolls, often along with scrolls of the Prophets and of the Megilot, are contained. In our faith, traditional holy texts are at the core of our worship. The original holy texts were housed in the Tabernacle’s Ark, and later in the Ark of the holy Temple in Jerusalem. So too, in the contemporary synagogue, the holy texts are central to our worship experience, and every occupant of the synagogue faces those texts as he or she prays. Where, you might ask, is the analog of the Ark in one’s private home? I maintain that the bookcase is the Ark of one’s personal dwelling. Ideally, that bookcase contains the entire Jewish Bible, along with essential commentaries and classic Jewish texts. So the Ark, which was situated prominently in the Tabernacle, is a feature of both of our “houses of worship”; our synagogue and our home. So too, with the table. A wooden table covered over with a layer of gold occupied a place of honor in the Tabernacle. The food kept there, the “shew bread” was distributed to the priests on duty every Sabbath. This table symbolized the divine blessings of sustenance. Every synagogue has a bima that is analogous in many ways to the table in the Tabernacle. The synagogue’s table is the place from which the Torah is read and from which God’s spiritual nourishment is shared. In traditional synagogues, this table is not placed up front, on stage as it were, for spectators to behold. Rather, it is placed in the middle of the synagogue sanctuary, among the people. The message is clear: The table symbolizes God’s spiritual providence and bounty and as such is something of which every member of the congregation should partake. The table in the home, equally sacred, is the place for physical nourishment. A beautiful Talmudic expression has it that “the table is like an altar.” Whereas the Jew of old expressed his ultimate sense of worship by offering a sacrifice upon the altar, the contemporary Jew worships God by sharing the food on his table with other individuals. Again, like the Ark, the table that glorified the ancient tabernacle persists as a central feature of both of our modern houses of worship, our synagogues and our homes. Finally, the golden menorah which beautified the historic tabernacle and the later Beit HaMikdash. Just about every synagogue I ever attended features a menorah in a very conspicuous place. And the Chanukah menorah occupies a place of honor in the Judaic art collections of even the humblest Jewish home. There is a symbolism to the menorah that is even more apt when applied to the two houses of worship we have been discussing. The Menorah symbolizes light; the light of wisdom, the light of the intellect. A central feature of Judaism is that it is not a mystical religion based upon blind faith or irrational emotions. Quite the contrary. Our faith is largely based upon reason and is respectful of the power of the intellect and the gift of true wisdom. 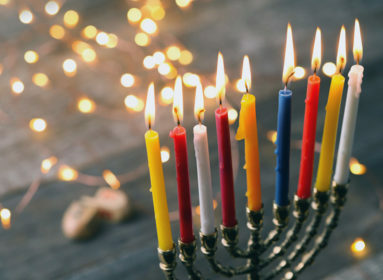 Thus, many commentators see a connection between the seven branches of the menorah and the seven classical sciences, or categories of knowledge. The Torah is pre-eminently sacred, but other sources of wisdom are important and have their place. So too, in our two houses of worship. Our synagogues must allow for the expression of knowledge from all human sources. As Maimonides put it, “We must accept the truth from wherever it comes.” For him, that meant even from the ancient Greek philosophers. Our private homes must be open to the truths of science, of literature, and of other cultures. The intellectual life should not be seen as threatening to our religious belief. 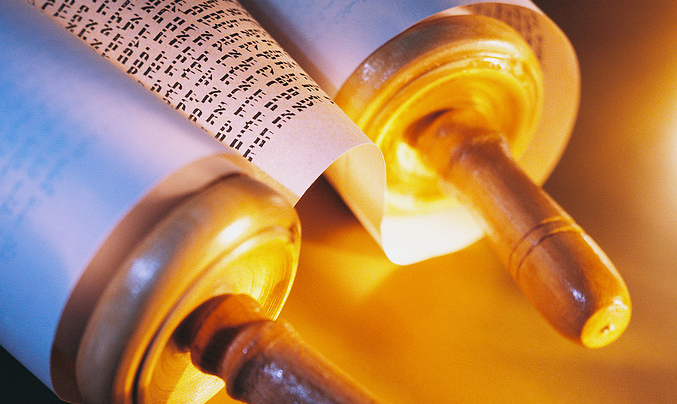 A life of Torah is made more sublime when it is appropriately enriched by the wisdom of the world. People reading this week’s portion are often put off by the details of an ancient religious structure that seems to have little relevance for their lives. But by looking a little more deeply, and with a dose of creative contemplation, there is much to be learned from even the most technical and seemingly outdated passages of our Torah.